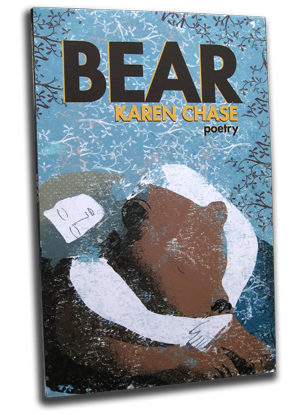 Karen Chase’s second volume of poems, BEAR (CavanKerry Press), affirms the promise of her debut, Kazimierz Square, which former U.S. Poet Laureate Billy Collins heralded as “incandescent.” Again, Chase finds the cryptic beauty in the rawness of everyday life, in our fragile, sometimes menacing juxtaposition to nature, and in the tightrope of human relationships. 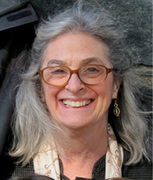 The poems, some of which first appeared in such far-flung publications as The Southern Review, Alaska Quarterly, Another Chicago Magazine, and Poetry Ireland, teem with Chase’s characteristic fearlessness and hopefulness, delivered with an unadorned, articulate fusion of language and ideas. Let the bear know you are not prey. Act human, wave your arms. cause your fur to curdle? worry Bear, who’s in charge? Sometimes you go too far. I would eat you. And you? My skin is white and smooth. of men and bear who marry.